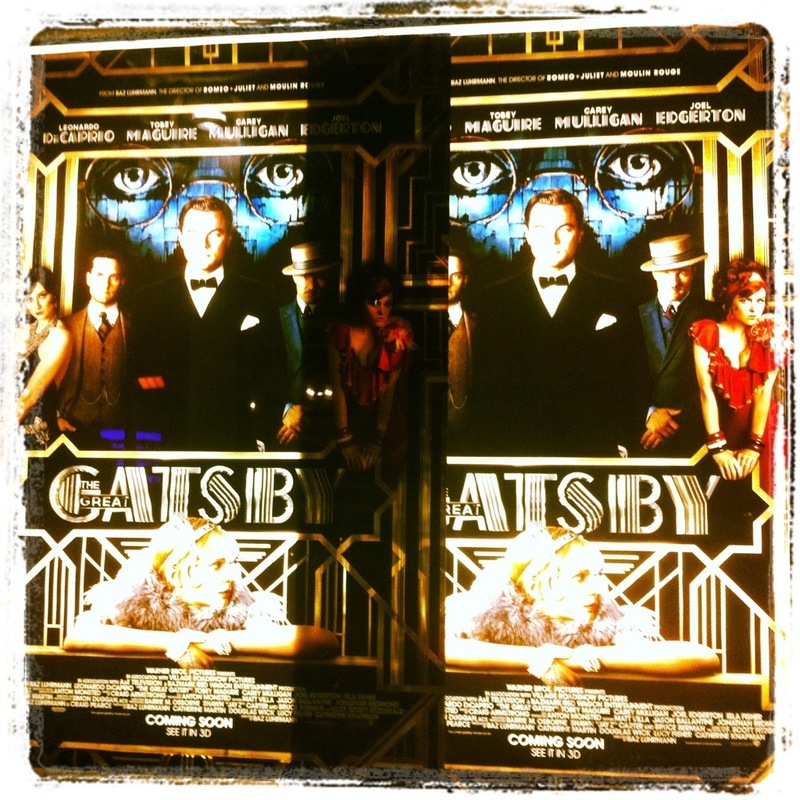 The Great Gatsby has been one of the most anticipated movies of the summer or winter (depending which hemisphere you are located)! The release date in America was May 10th but wasn’t until May 30 for Australia. 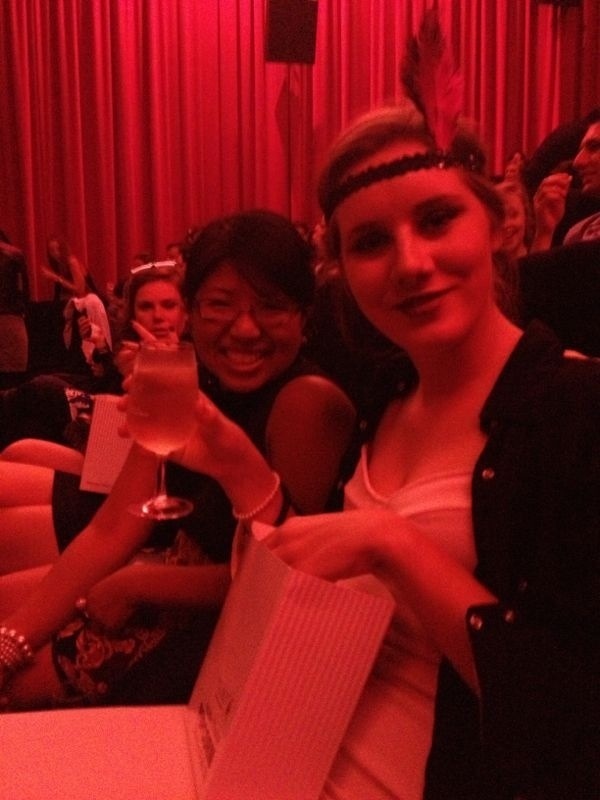 I was so lucky to score some premiere tickets (thanks to Yelp BNE) to the Great Gatsby at Palace Centro in Fortitude Valley. I was so looking forward to seeing one of my favorite novels from high school come to life on the big screen. Celebrating the premiere of one of my favorite books! Thank you Mrs. Franks for having us read an incredible novel. My Pre-AP English teacher, Mrs. Franks, who introduced me to the 1925 novel by F. Scott Fitzgerald, recently passed away. Thank you Mrs. Franks for introducing me to the Jazz Age where decadence and idealism thrived and Jay Gatsby’s unrelenting will to win back Daisy Buchanan didn’t quite pan out. When I first read the novel, I didn’t want to put the classic down as all of the story lines intertwined and secrets were exposed. I found it bittersweet as I was nearing the last page because I didn’t want the story to end. Do you ever feel that way when you’re reading a good book? Loved the hair accessories on Sara and Charlotte! A movie premiere is always filled with excitement and everyone who attended this evening embraced the fashion! The ladies were in feathers, lace, and sequins while the men put on suspenders and top hats. 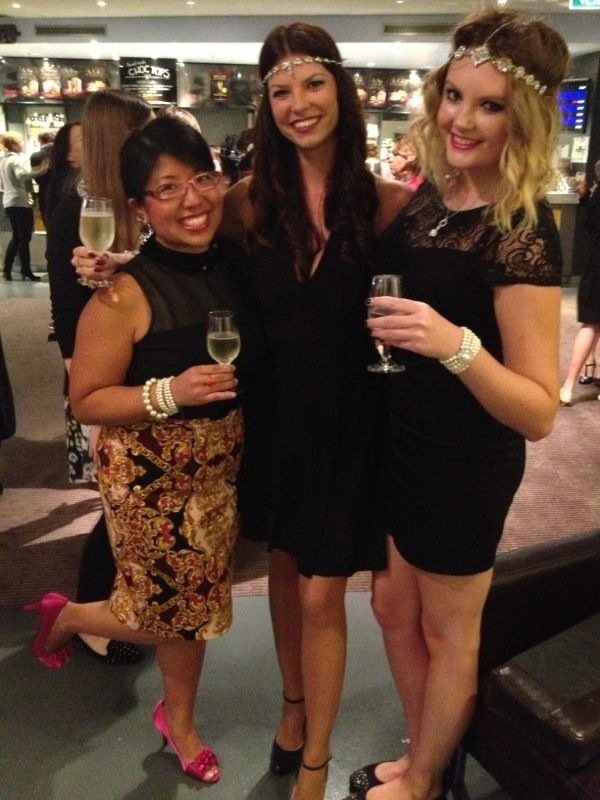 Everyone was treated to a glass of Prosecco while we waited for the pre-screening fashion show. 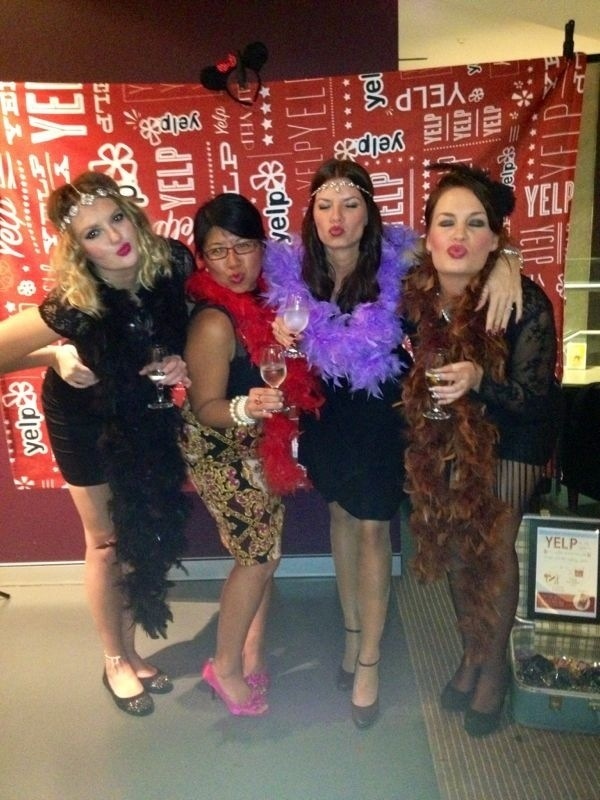 Yelp Brisbane knows how to party and provided a super fun photobooth where you could borrow red, purple, black, or brown feathers boas if you forgot to bring your own. 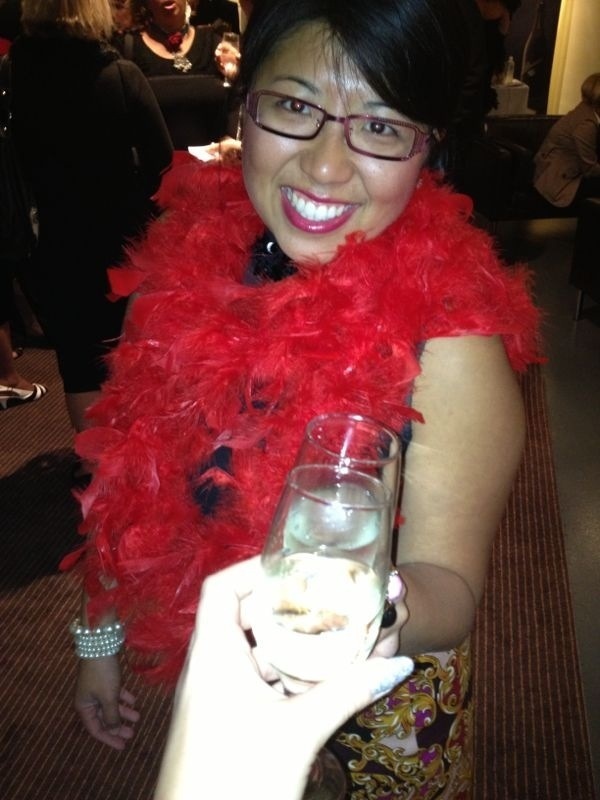 We were having a blast with our feathers boas! They were giving a few prizes away for best dressed and made a few announcements about upcoming screenings to the sold out crowd. Because we were at the premiere, only one commercial played prior to the film starting! The gals and I enjoyed the film but we weren’t head over heels. Oftentimes, a film cannot live up to the book and this was another case. Gatsby on the screen was just not the Gatsby in the pages but I definitely enjoyed the beautiful scenes, glitter, and opulence of everything! No one could deny how handsome Leo was playing the role of Gatsby either. What a good old sport. Mia and I are ready to watch the film! This was one of the last outings that my gal pals and I would be going to together as a few of them will be returning to their respective countries over the next few weeks. We’ll be losing half of the crew pictured below but that doesn’t mean our friendship will be cut short but rather stretched further. All of the incredible outings, premieres, and events that we have attended have been SO incredible because we have been able to share the experience together. Char is the first to leave and heads back to London in a few days. Char Char, thank you for being my date. I will miss you dearly. I will miss basking in the hot sun together on the beach, Boost breaks, and studying in the SSH Library writing 3,000+ essays side by side. Thank you for sharing your love of Byron Bay, Top Shop, and Buzzfeed with me but most of all, thank you for being you. Jay Gatsby believed that we could repeat the past but I am content with remembering our wonderful memories together and creating more in the future. 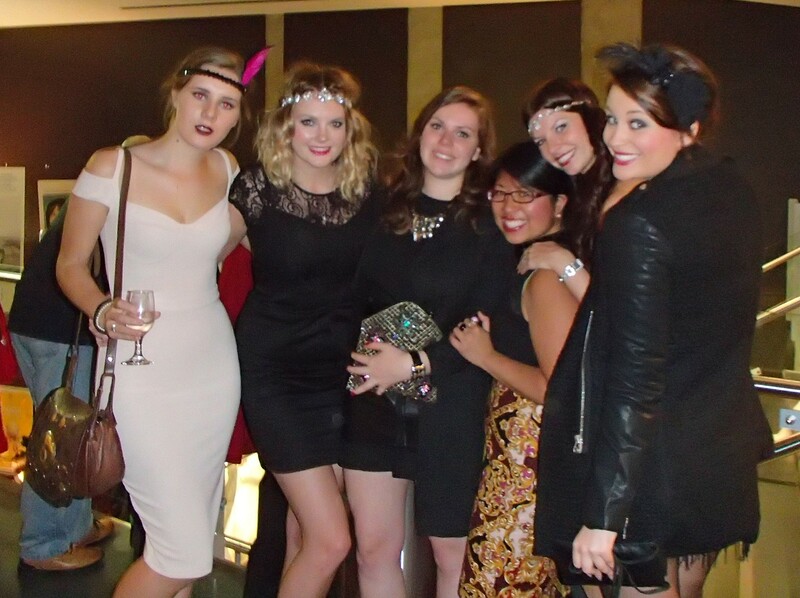 My wonderful gal pals who rocked killer outfits for the Great Gatsby Premiere!